There was a time that the Cadillac brand would have never been thought of when it came to fuel efficient automobiles. 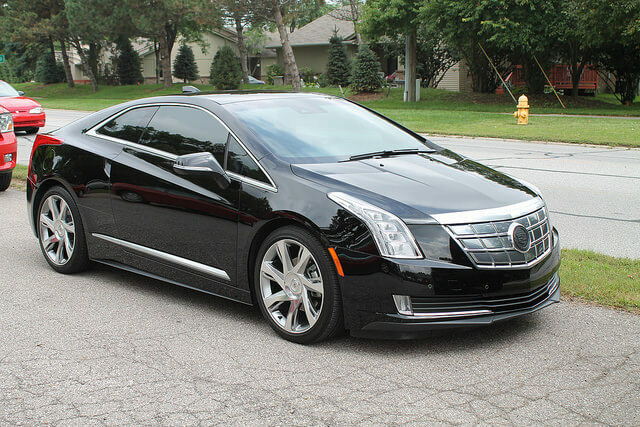 With the entry of the Cadillac ELR into the market; however, things have changed. The car sees an impressive 82 MPGe and is a plug-in hybrid. The MSRP for the vehicle is $75,000 before the Federal tax rebate is applied, and the battery is capable of supporting an “electric only” range of 37 miles. The ELR also sees a respectable 33 MPG when running only on gasoline, and looks to make a big splash in the luxury car market. 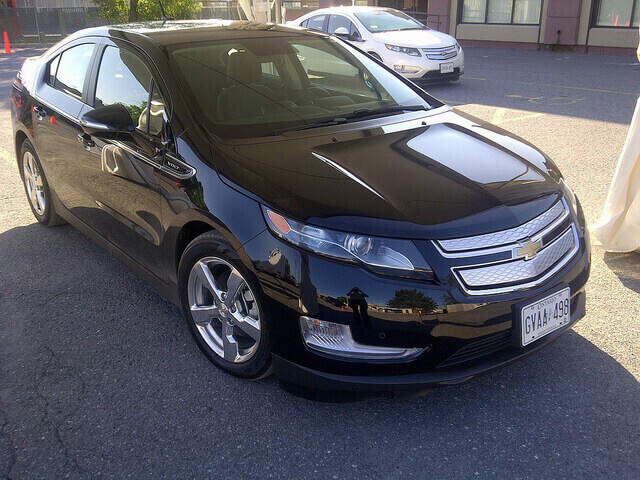 The Chevy Volt is one of the more popular plug-in Hybrids on the market today. The car enjoys a respectable 62 MPGe efficiency rating combined and 98 MPGe on the battery. Unlike many other plug-in hybrids can actually travel 38 miles on a single charge of the auto’s battery. 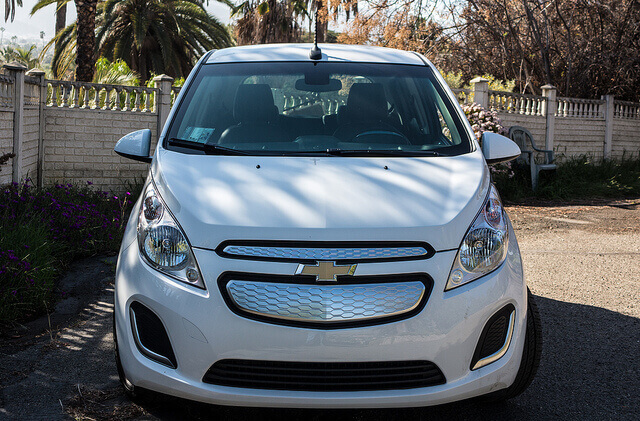 When the Volt is run solely on gasoline, it sees a 37 MPG fuel efficiency rating. The MSRP for the auto before the Federal Tax rebate is applied is $34,345, and the vehicle is rated as being one of the more reliable on the plug-in hybrid market. 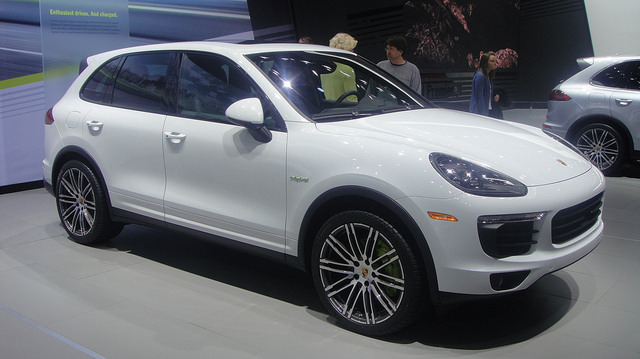 The Porsche Cayenne S E-Hybrid is the crossover entry into the fuel efficient auto market by the luxury car manufacturer. The auto enjoys a 47 MPGe and is a plug-in hybrid that retails for $76,400 before the Federal tax rebate is applied to the overall cost of the vehicle. The car can only travel 14 miles on a single charge on the battery without using the gas tank, and sees a gas only fuel efficiency rating of 22 MPG. Although the price point on the Cayenne S E-Hybrid is a bit steep when compared to other hybrid models on the market, it is equivalent to other models of crossover and SUVs previously produced by Porsche. 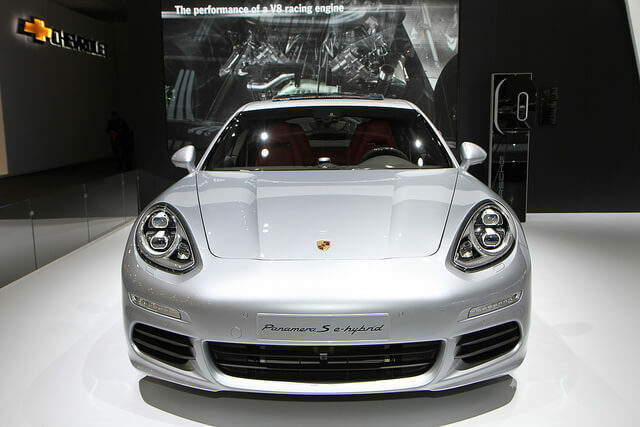 Porsche is the latest luxury car manufacturer to enter the fuel efficient car market. The Panamera S E-Hybrid is just one of the car manufacturer’s entries into the market. The auto enjoys a 50 MPGe and is a plug-in hybrid vehicle. Similar to traditional models from the manufacturer, the MSRP of the car is not cheap at $99,000 before the Federal tax rebate is applied, but the car does enjoy many of the features that customers have become used to seeing in models produced by Porsche. The single charge range of the battery is only 22 miles, but the auto does see a respectable but low 25 MPG when running solely on gasoline. Not to be outdone by Mercedes and other competing brands, the BMW i8 is the manufacturer’s current entry into the fuel efficient car market. The auto enjoys a fuel efficiency rating of 76 MPGe, and it is a plug-in hybrid similar to the latest variant of the Prius. The car retails for $135,700 before any Federal or State pricing discounts or tax rebates are applied, and it targets consumers who demand the quality and luxury of what the BMW brand stands for, but want to lead the way in society with an environmentally friendly automobile. When the i8 runs solely on gasoline, it sees a fuel efficiency rating of 28 MPG. There are some consumers who likely believed that Mercedes-Benz would never enter the fuel efficient or electric car market. Well, the manufacturer has done so with the B-Class Electric. One of the most recent offerings by the company, the car enjoys an impressive 84 MPGe and is an all-electric car. Consumers who purchase the vehicle also enjoy a nice 84 miles out of a single battery charge on the auto, and the MSRP starts at a respectable $41,450 before the Federal tax subsidy is taken into account. 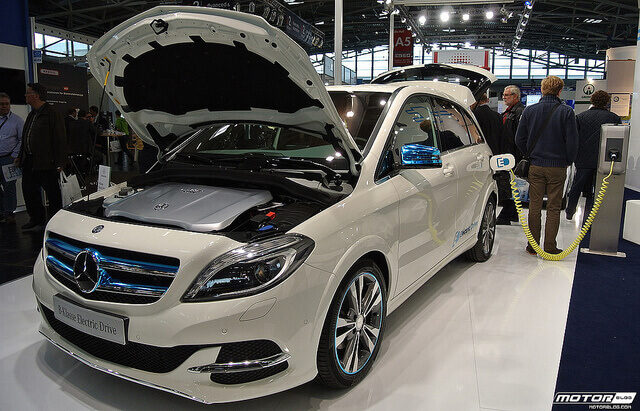 The B-Class Electric marks one of the company’s first true alternatives to their diesel driven vehicles for customers looking for fuel efficient Mercedes-Benz autos. 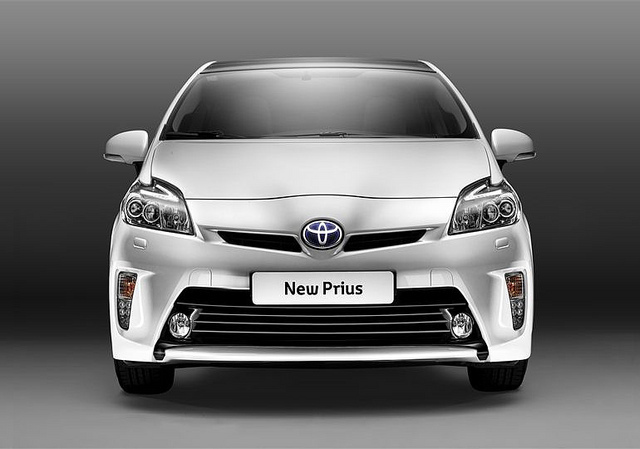 The Toyota Prius was one of the first hybrid automobiles to gain wide-spread popularity within the United States. Today, the Toyota Prius PHEV is latest version of the popular automobile, and Toyota has one their best to keep the price down on the auto to an entry price point of $29,990 before the U.S. Federal tax subsidy is taken into account for the vehicle. The car sees a nice 95 MPGe, and is able to be run on the battery or gas. When operating on the gas tank, the car still enjoys a very respectable 50 MPG when the battery is not being used to power the drivetrain of the auto. The Tesla Model S is one of the most fuel efficient automobiles on the market today that is designed for those who like to enjoy the cutting edge in technology. Although the vehicle comes in a bit higher than other electric car models at $71,070 before the U.S. Federal Tax subsidy is taken into account, it does see a very impressive 95 MPGe fuel efficiency rating. The car also enjoys an industry leading range on a single charge for the car battery ranging between 208 and 270 miles depending on the vehicle options selected when purchasing the car. 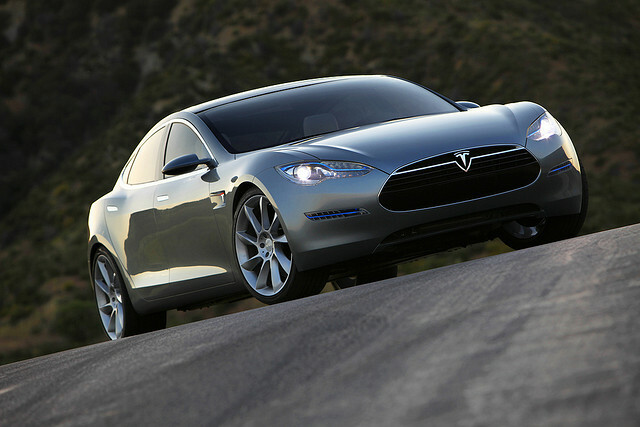 The Tesla Model S is one of the most highly rated models on the market with a proven track record. The Ford Focus model of car has been one of the most popular of the American auto manufacturer over the past 10+ years. 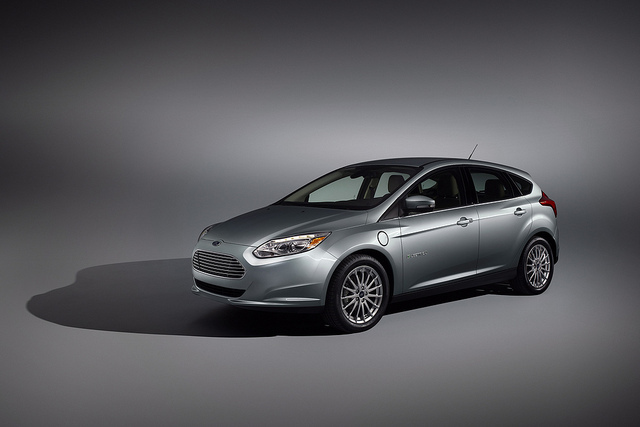 The Ford Focus Electric builds on the company’s past successes and now runs 100% on battery. The auto is rated at an eye popping 105 MPGe and sees a very respectable 76 miles per charge out of the car’s battery. For consumers who like to save money on their new car purchase, the MSRP for the Focus Electric is only $29,170 before the U.S. Federal Tax subsidy is taken into account where it drops to a paltry $21,760. The Focus Electric is sized a bit larger than many of the competing vehicles that see extreme fuel efficiency, and is also rated as a very reliable vehicle. 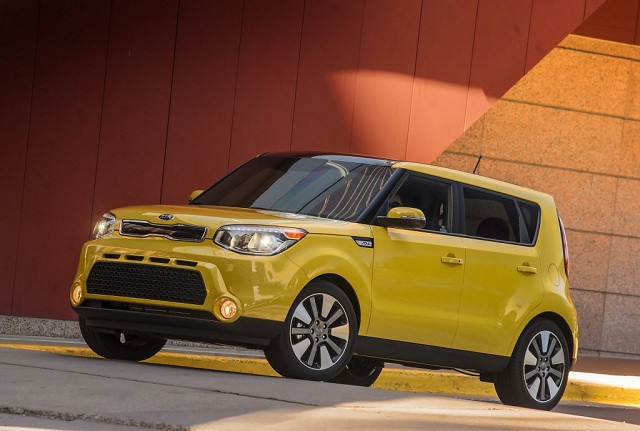 The Kia Soul EV is a 100% electric automobile that is rated at 105 MPGe and sees a whopping 93 miles per battery charge. For consumers who have been putting off entering the electric car market, the single charge range the Soul EV sports is a true game changer. Even if one lives in the suburbs and must make an extended trek around the city or to another destination, the car can get one to and from without having to find an outlet to plug the vehicle into. The overall cost of the automobile is a moderate $33,700 before taking into account the U.S. Federal tax break. The Smart Electric Drive is another fuel efficient car that enjoys more than 100 MPGe, coming in at 107. The auto does only see 68 miles per single charge of the car’s battery, but it is a perfect car to get around a big city. The car is affordably priced at $25,000 new before taking into account Federal or State tax subsidies, and it is 100% electric. 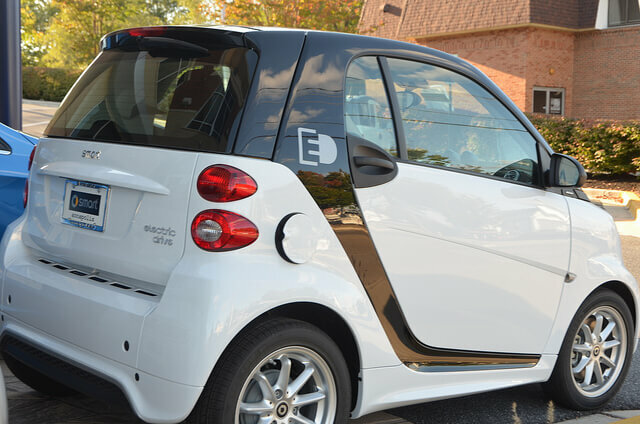 For the passenger who is tall or a bit larger, the Smart Electric Drive will feel a bit cramped when compared to a hybrid automobile, but you cannot beat the low entry price point and overall performance for the money when comparing the car against other gas guzzling brands. 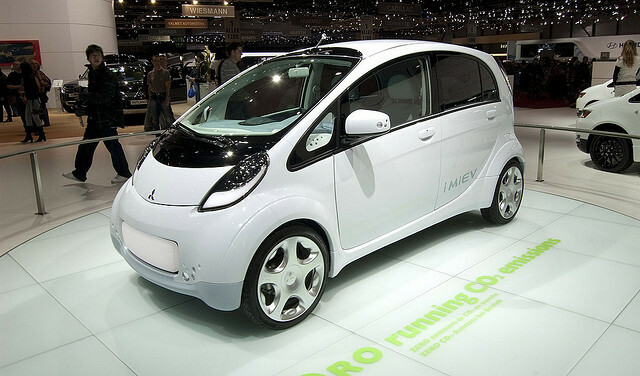 The Mitsubishi iMiEV is a subcompact, electric car that boasts a 112 MPGe combined and a 66 horsepower engine. The iMiEV only sees a 62 miles range on a single battery charge; however, its MSRP before taking into account the $7,500 Federal Tax savings in the United States is one of the lowest in the industry at $22,995. The auto also features heated front seats and the driver’s side is adjustable in six different directions to help the driver get comfortable driving the most fuel efficient car produced by Mitsubishi to-date. Additional perks include remote keyless entry with an integrated key transmitter, and a panic button for those looking for more safety when parking their auto in the city. The Nissan LEAF (Leading, Environmentally friendly, Affordable, Family car) is a 100% all-electric automobile and it is rated at a 114 MPGe. The LEAF enjoys an 84 mile range on a single battery charge, and when the U.S. Federal tax credit is taken into account, comes in at a very affordable $21,500 sticker price. 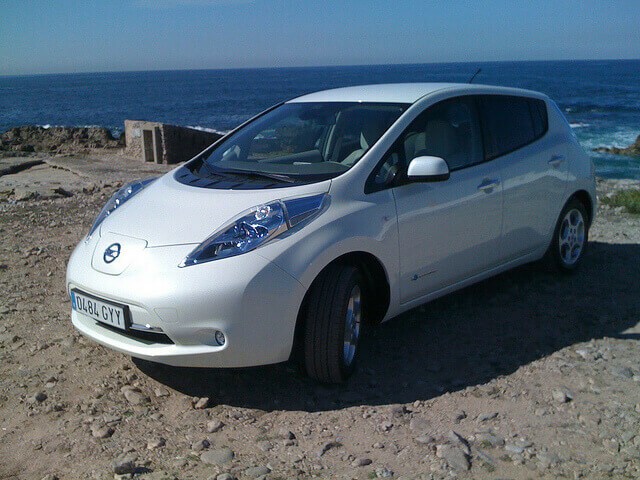 The LEAF is a compact, five-door hatchback, and it was first introduced to both the Japanese and American car markets in December 2010. Since that time, the auto manufacturer has continued to make big improvements to the auto’s performance and single charge range to the point the car is at today, making it one of the most fuel efficient on the roadways. The Fiat 500e made big news in California when it was first released. In addition to the federal incentive of $7,500 for purchasing the automobile, the state also provided $2,500. 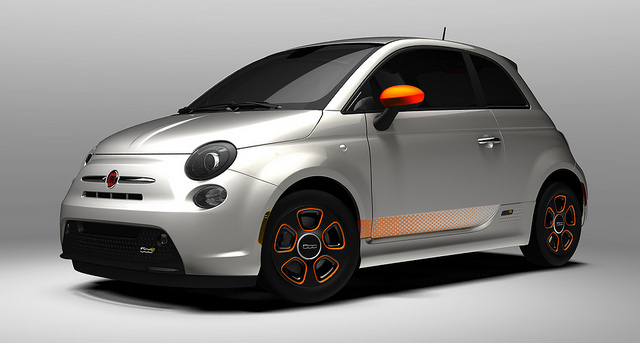 Since Fiat-Chrysler was also offering another $1,000 for consumers to make the shift to the 500e from their existing lease. These big discounts essentially eliminated the $11,000 down payment required for a new lease on the automobile resulting in a surge in new leases during the timeframe of the special offer from Fiat. The all-electric auto sees a whopping 116 MPGe and has a single charge range of 87 miles giving it slightly more range than many of the other fuel efficient cars on the market. 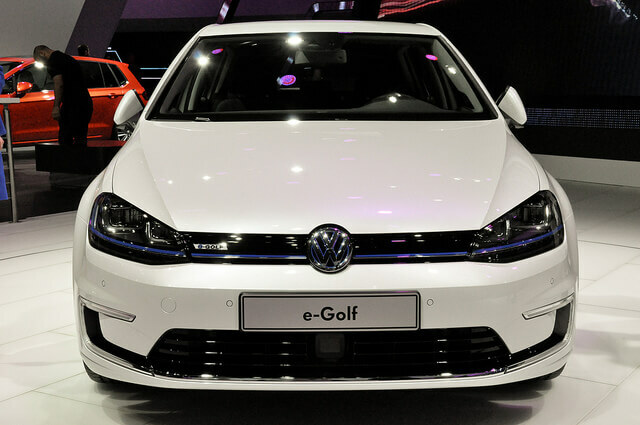 The Volkswagen e-Golf is another fuel efficient car that comes in north of 100 miles-per-gallon (equivalent) at 116 MPGe. The vehicle is all-electric and can run for 83 miles on a single charge for fans of the Volkswagen brand. When the U.S. Federal tax credit is applied to the MSRP of the automobile, the sticker price is reduced to an effective $27,945 making it extremely affordable for consumers desiring to make an entry into the electric car market. The single charge range is far enough to support short to moderate commutes without visiting a re-charging station at work or on the way home; however, for those with longer commutes it requires planning to get to and from one’s destination without running out of charge. The Chevy Spark is one of the leading models of fuel efficient automobiles produced by an American car manufacturer. The Spark EV sees a whopping 119 MPGe on battery and has an 82 mile range on a single charge of the battery. To help entice consumers to purchase more fuel efficient automobiles, the Spark will deliver a discount of $7,500 in the form of a U.S. Federal tax credit. The Spark EV is an all-electric auto, so its target market has been with consumers who do not have an extended daily commute or have the ability to recharge the auto while at work or school. 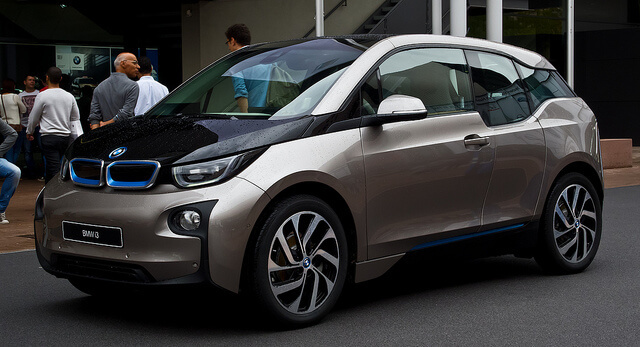 The BMW i3 is one of the most fuel efficient cars on the road today. Seeing an impressive 124 MPGe, the auto sees an impressive 124 MPGe on battery and costs just $41,350. The auto is also rated at a nice 39 MPG on fuel, and for the U.S. market, consumers will see an almost $8,000 discount on the price of the vehicle with the U.S. Federal tax credit. The i3 sees a cool 81 miles on a single charge of the vehicle before the driver must stop to recharge the automobile. 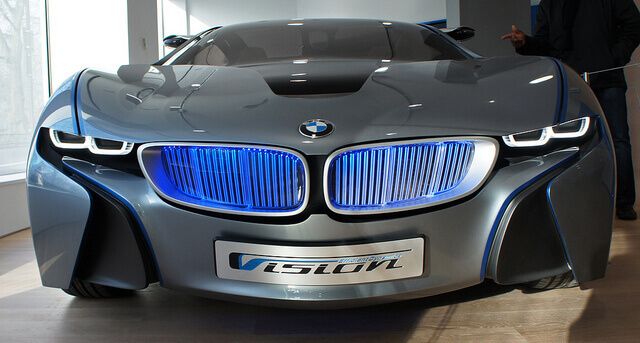 BMW’s entry into the efficient car market is impressive and growing in popularity.